Your temporomandibular joints are located on either side of your head just in front of your ears. Several muscles, ligaments and bones must work in unison for these joints to function properly, allowing you to open and close your mouth with ease. TMJ disorder (TMD) may result when a condition prevents these joints from operating smoothly. “Dr. Page was great, she was professional, a good technician and practiced painless dentistry. I trust her to do great work, and she delivers!!" 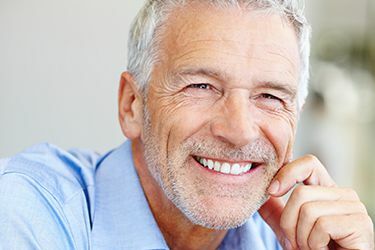 Botox® injections can be an effective part of your dental treatment plan to relieve the pain and discomfort associated with TMD and bruxism, or teeth grinding. Dr. Lieberman and Dr. Page, American Academy of Facial Esthetics trained dentists, expertly administer your Botox® injections in our Capital Smiles office. Several circumstances can contribute to the onset of TMJ disorder. For some patients, a hard blow to the face, head or neck can traumatize the jaw and lead to TMD. For others, a bite problem forces the joints out of their sockets. Also, teeth grinding and clenching that can cause teeth to have uneven surfaces may lead to improper jaw closure and TMD. When Botox® is injected into the muscles that are affected by TMD, it can relieve pain and tension, as well as reduce the headaches and facial pain caused by nightly teeth grinding and clenching. Botox® works by blocking nerve receptors and preventing jaw muscles from over contracting. Dr. Lieberman or Dr. Page injects enough Botox to relax your muscles without impairing your ability to chew, speak and move your jaw. Botox injections quickly and effectively relax the muscles that lead to TMJ pain. After a series of treatments, Botox® can retrain your muscles to relax for longer periods of time. Most of Drs. Lieberman and Page's Botox patients feel relief within two to seven days after their first treatment. Only the areas injected with Botox® are affected, so your facial features will still move and express emotion as usual. And because Botox® treatment for TMJ disorder is non-surgical and non-invasive, you will be able to return to your normal daily activities almost immediately after treatment. To learn more about Botox® injections that relieve the symptoms of TMD, or to schedule an appointment, contact Capital Smiles today. 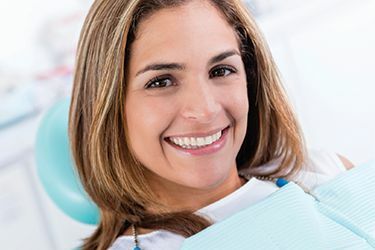 Our patients in Schenectady, Troy, Saratoga, Clifton Park, Niskayuna and the surrounding Capital District enjoy renewed dental comfort and function with our customized care.